Try as a side dish with Indian or Japanese dishes. Also good with rice or salads. Salt the carrots and let them drain for 2/3 hours. Dab away excess salt and put into a clean bowl. 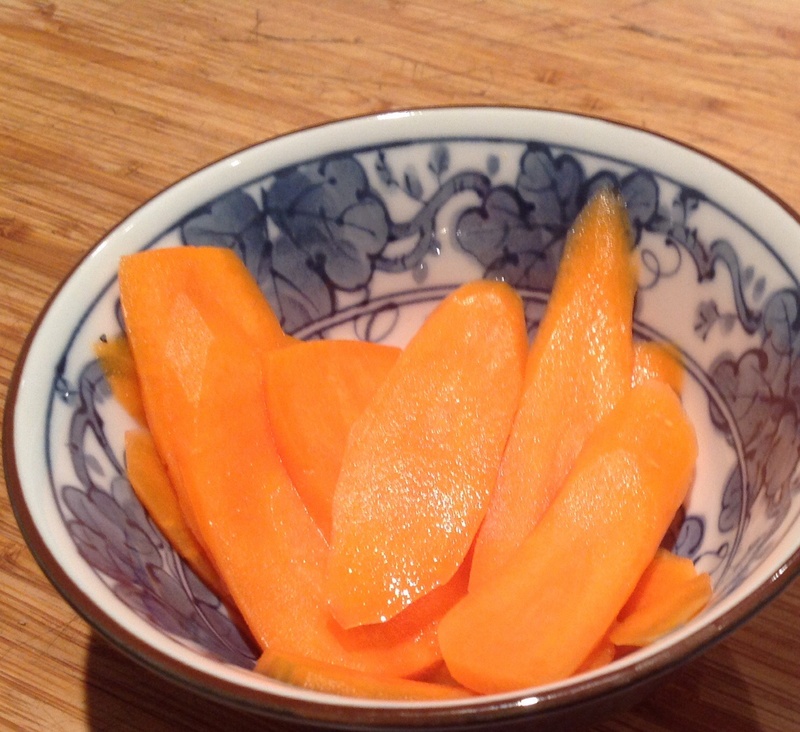 Mix sugar & vinegar together until dissolved and pour over the carrots. Leave for 2 hours, mixing every half hour if they are not completely submerged. Serve at room temperature when ready. Tip ~ Keeps for three days in the fridge, in the vinegar but will lose crunch gradually.